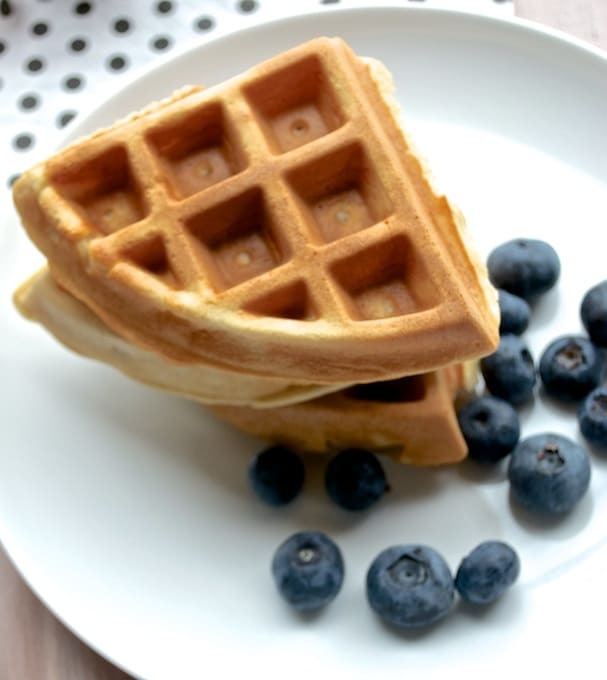 In my view, you need three things to get a Waffle right – a good recipe, the right Waffle iron and a little bit of patience. You need patience because, with most waffle irons, you need to use it for a few times before it starts browning your waffle evenly. Didn’t get it right the first time? Hang in there..with a few tries you should be all set. Make sure to follow the manufacturer’s directions to the T, I ruined my first waffle iron by using cooking spray because I didn’t read through the instructions – ugh!. Whisk the eggs till it is light and fluffy using a stand-in mixer or a hand beater. Add in the remaining ingredients and continue to whisk them till they are combined. 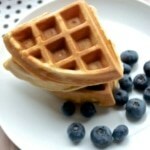 Lightly coat the waffle iron with cooking spray. Using a ladle, pour the recommended amount of waffle batter onto the iron according to the manufacturer's recommendations. Close the iron and cook until the waffle is golden brown on both sides. Serve immediately with maple syrup or whipped cream or a topping of your choice.